The players have started their hard work on the track for the second half of pre-season and with just 8 weeks before round 1, the focus is on being fit and firing for 7 April. 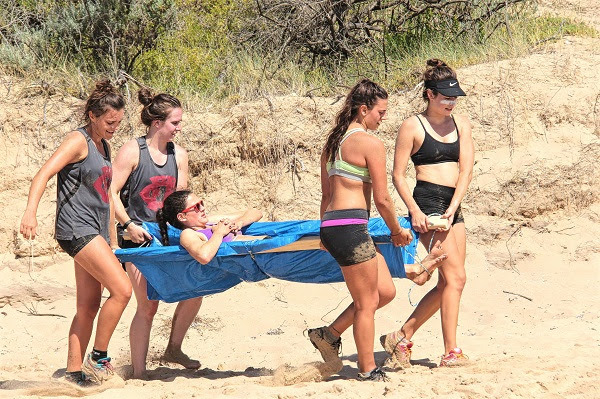 The pre-season camp at Portsea is 23 to 25 February. We’re still locking in intra club and practice games, likely to be on March 4 at Victoria Park. Get along and check out the pre-season form and see if you can spy any new talent. March 18 sees a practice matches against Caulfield Grammarians at Garfield. More details will be provided closer to the date. And on March 24, we’ll host Marcellin at a venue/venues close to home, followed by the season launch at the Fitzroy Victoria Bowls Club from 6pm. 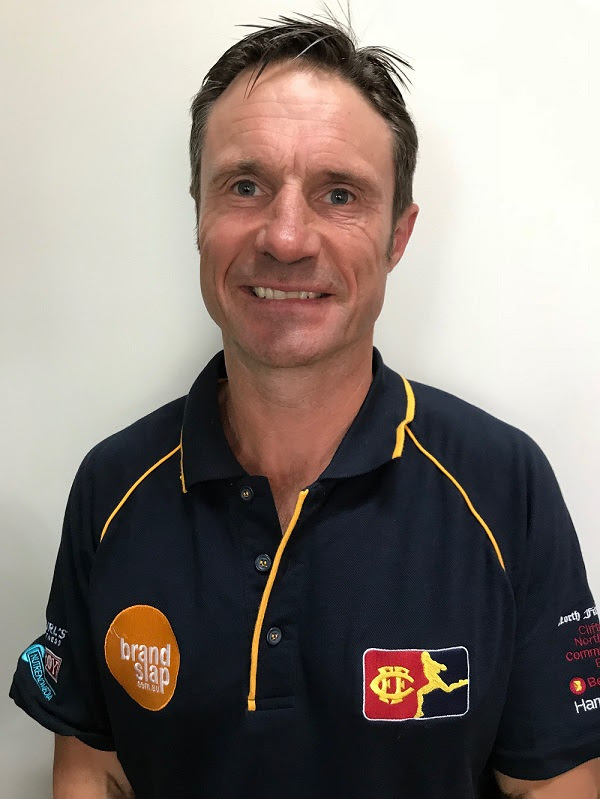 Fitzroy-ACU’s new coach of the Women 2 team, Simon Jackson, is pretty keen to give something back to football in a community he’s been part of for 18 years. Holistic fitness consultant and owner of Jack & Hill Fitness Studio in North Fitzroy, Simon is the latest addition to the Fitzroy coaching team for 2018 and he’s already impressed by the enthusiasm of our women’s squad. “What you notice is the that they are like sponges – they love to ask questions and they have a lot of enthusiasm and eagerness to learn. The former reserves coach at Old Carey and Essendon fan knows his experience in health and nutrition and getting the best out of your body will also be of benefit to the team as they think about preparation, recovery and running out games. Whether it’s coaching or training, Simon says his role is about helping people, imparting knowledge built up over 20 years and inspiring and motivating people who want to get fitter and stronger. Simon played football for 16 years, was Reserves Playing-Coach with Old Carey and played in three premierships with Old Carey and Old Camberwell. Last season he was the Strength and Conditioning Coach with the University of Melbourne MUGARS and has been in a similar position at TAC club Sandringham Dragons. Simon plays cricket with Edinburgh Cricket Club vets team and has a connection with Women’s senior coach, Mick Symons, through the cricket club. 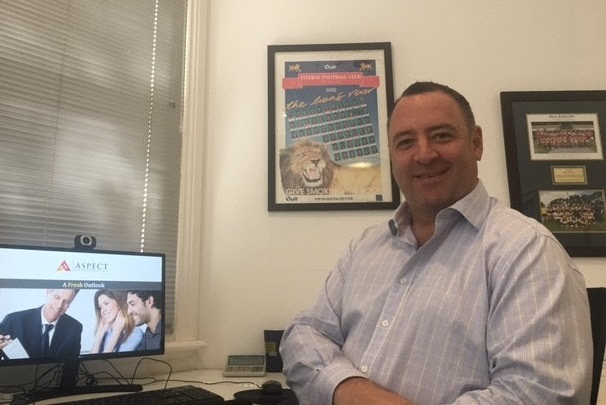 Married to Sharon and the owner of two dogs, Simon lives in Northcote and said part of the appeal of coming to the footy club was furthering his involvement in his local community. Oops. We gave you the wrong date for our season launch in the last Red Roy. It will be Saturday 24 March after we host pre-season games against Marcellin. Meet the new coaches and hear about plans for season 2018. The venue is the Fitzroy Victoria Bowling Club, who will continue as sponsor of the club again this year. Speaking of which, the Bowls Club will have a special discount social membership offer for Fitzroy Football Club members. More details on that soon. Everyone is welcome to join us for the season launch which will start at the Fitzroy Victoria Bowling Club from 6pm. 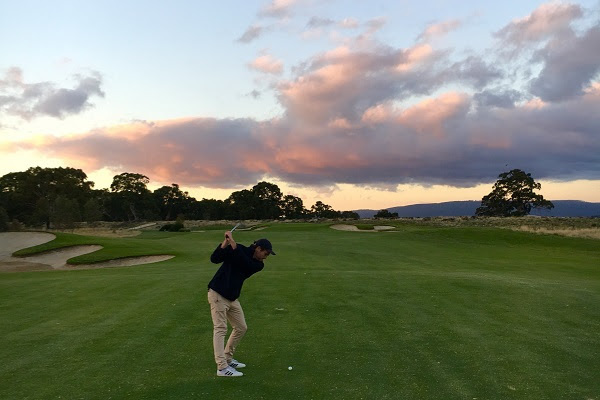 Now you probably can’t catch our reigning best and fairest player, Max Ellis, on the football field but perhaps you could give him a run for his money on the golf course. Here’s the opportunity to find out at the Fitzroy FC Golf Day. Fitzroy’s pairs golf day has been locked in for Saturday 17 March at the Ringwood Golf Club from midday. Fitzroy players, supporters and friends are encouraged to join us for a fun day of golf and the opportunity to mix with the Fitzroy family and win some great prizes. If you need a cart, there will be an extra charge of $20 but please contact Corbin Stevic as soon as possible. Details are on the booking page. The club is continuing its search for a Coaching Director and the role is being advertised with AFL Victoria. If you know anyone who might have the skills and capacity, please refer them to the job description here. This is a voluntary role. We are also on the lookout for a coach for the Under 19(2) team. The role is described here. Many of you would have read of the sad and premature passing of Age journalist Michael Gordon on the weekend. Michael was known as a mad keen Hawthorn fan but in his playing days he was a Redder – a player and leader for the Uni Reds in the late 70s. The Reds Foundation and FFC inc Fitzroy Reds were saddened to hear of the sudden passing of Michael Gordon who had an outstanding career as a journalist and led a life of great integrity and compassion. Michael played for and provided leadership for the University Reds FC in the late 1970s and was named in the Red’s Media All Star Team in 2010. Michael accepted this honour with great humility the way he accepted Walkleys and other accolades. Sympathies to the Gordon family and his wider network of colleagues and friends. Taking the lead from our new Women 2 coach, if you have the inclination to give something back to your local football club, please get in touch! We have a loyal and hard-working bunch of volunteers who do an incredible job each week, but we’re always after more. With seven teams in action each week, there is much to be done. People may be very familiar with the game day roles required but there’s a lot of other things you could apply your skills and expertise to. In particular we’re looking for people to help with events coordination and social media. Do you have experience working with websites and updating content? We’re always after more help in the canteen. Perhaps you could coordinate the Club’s major raffle? For the fit types, you might want to think about being trained as a field umpire? 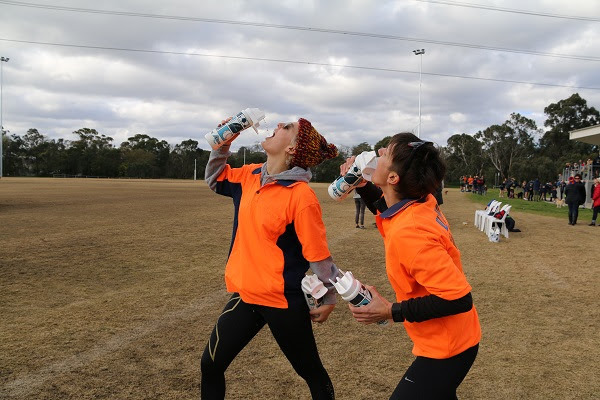 If you love the game but your body isn’t able to deal with the crash and bash on field, we can organise training and you will get paid by the VAFA. Fill out our volunteering form online or contact Volunteering Director, Gabrielle Murphy, if you’d like to know more. Have you signed up as a 2018 Fitzroy Football Club member yet? There are some great prizes to be won for anyone who signs up in February. Our major sponsor, The Royal Derby, is on board with a nice prize for those signed up as a Fitzroy member by the end of the month. It’s a very important year for the club as we work towards a Premier C premiership and the women’s teams face an expanded VAFA competition with some new teams coming on board. Make your contribution to our great community club, by signing on as a 2018 member and consider a Gold Lion membership, which comes with a Fitzroy cap. There are four membership options and prices are the same as last year; you can even sign up your family. The winning member will be announced at the season launch. 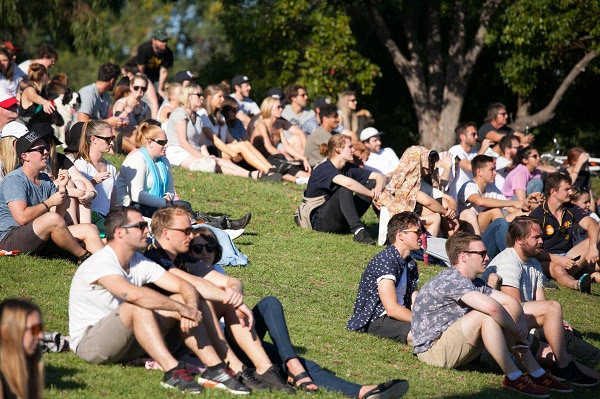 For local businesses who are keen to connect with the club and its network, Fitzroy will again be offering its business membership in 2018. Join other business owners in supporting Fitzroy and join the club's new business network. Owner of Aspect Underwriting, Mike Wallis, was one of the first to sign up last year and he’s back on board for 2018. Read what he had to say when he first made the call to become a member. a Fitzroy cap and membership card. Thanks for getting on board and following all the Fitzroy news in 2017. We’ve had a look back at the figures for last year and there have been some strong signs of growth in our online and social media. 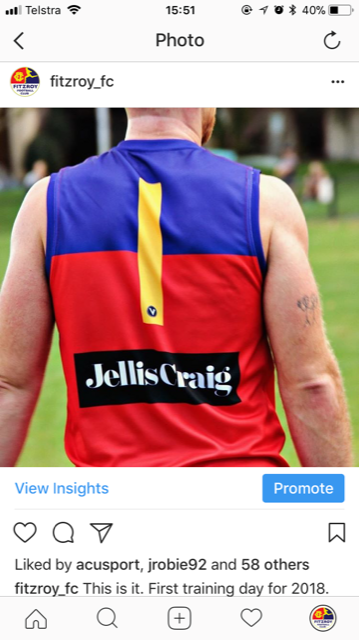 Facebook, which continues to be one of the most popular channels for footy-related news, delivered a 13 per cent increase in Fitzroy followers, with over 3700 now on board. Twitter growth was much slower, with a 4.3 per cent increase to 2400. The website has continued to go from strength to strength thanks to a revamp of the site by our major sponsor FitzroyIT and the award-winning photos and stories. In 2017 we had over 208,000 page views and over 128,000 visits. The new site went live part way through 2016 so we can’t do a full-year comparison, but there was a 21 per cent increase in average monthly page views from 2016 to 2017. The Red Roy Mail – our online newsletter – experienced a 26 per cent increase in circulation, thanks in part to the new easy sign-up on the website. Our recent communication survey also told us the Red Roy is going down well with members and followers, with 77 per cent of respondents saying they regularly read it, over 70 per cent saying it was their preferred method of communication and 60 per cent saying they read every edition (that number was even higher for members and players). Thanks to all the loyal Fitzroy followers and avid readers and don’t forget your 2018 membership can be purchased online just as soon as you’re ready!